Detroit Concrete Leveling can save you money by reducing trip hazards on your property. We do that with our concrete leveling services. 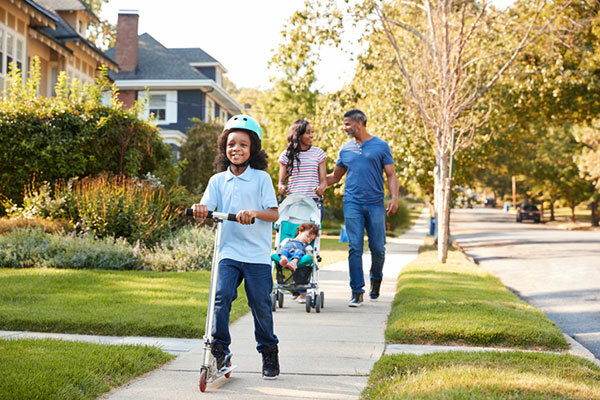 We have been in business for more than forty years and have developed a great reputation with our customers because we are professional, committed to customer service, and dedicated to doing all we can to help you make your property safer and save money. Walkways, driveways, patios and garage floors can succumb to settling and weather-related degradation. Over time, even the most solidly constructed concrete slabs can crack. But our team knows how to fix the problems that occur with concrete driveways and walkways, and over time the repairs we perform will save you money. If you have tripping hazards on your property, contact us as soon as possible. 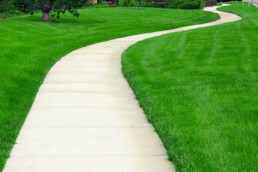 We can take care of the trip hazards so that you and your guests have clear walking paths. Repairing those problems also helps to keep your property beautiful. We do not recommend waiting until cracks become tripping hazards to address them. We can also repair cracks before they become trip hazards. Cracks tend to appear because of settling, and no crack will ever get better on its own. If left to continue cracking to the point of becoming a trip hazard, your concrete could become an even greater safety risk. Concrete leveling is a repair technique that inserts a limestone grout solution beneath your concrete. Our advanced equipment pumps and pressurizes grout underneath your concrete; raising it to the perfect level, and filling all areas beneath to guarantee NO future problems. We can match the color so that you cannot notice the repair has been made. Concrete leveling is environmentally friendly and takes as little as 24 hours before you can begin using the area like normal. This process levels the area and repairs your sidewalk, driveway, patio or garage floor so that it is free from tripping hazards. Detroit Concrete Leveling has made our business into one that our customers trust. We have seen since we opened our doors in 1977 that concrete leveling improves the safety of homeowners’ properties. Concrete leveling requires expertise, and repairing your cracked slabs is much less expensive than replacing them altogether. Concrete leveling saves you money and reduces or eliminates trip hazards on your property. Call us at 866-472-9033 today for more information. The concrete leveling process uses a limestone solution to fill in the recesses in broken or cracked concrete from underneath. We use state of the art equipment and leveling techniques that ensure that your driveway, sidewalk or patio is properly restored. Concrete leveling is affordable - at just ⅓ of the cost of replacing a concrete slab. In addition, it is environmentally friendly, does not make a big mess on your property, and can be completed in just a few short hours. And, you do not have to worry that your new concrete will match your old - concrete leveling gives you better curb appeal and can even increase the value of your home.